CDC officials are hosting H1N1 conferences across the country to try and ease the minds of skeptical consumers. A meeting in lower Bucks County today got some concerned citizens all fired up about the vaccine. WFMZ’s Stephanie Esposito was there, and has the story. It started out as a video in a conference room in a Trevose, Lower Bucks County hotel. The entire meeting wasn’t so orderly, in fact people started raising concerns about the H1N1 Vaccine, the intentions of the pharmacuetical companies and the United states government. It was clear, the audience came armed with information. “The swine flu in 1976. More people died from the vaccine than from the flu itself. I feel this is being hyped. The group had several concerns…first the origin of H1N1…which some said they believe to have been created intentionally. Second, vaccine safety…and the speed in which they’re being released on to the market. Herb Newborg is the Vice President of Chiropractic America…he and others suggested the government will bypass FDA regulations in order to release the vaccination by October….saying H1N1 cases are expected to spike in the fall. Their main concern, a particular chemical that’s used to stretch the vaccine supply. Joe Funk is the Director of Health and Human services in Bucks County. CDC officials maintained there is no evidence H1N1 was created deliberately. 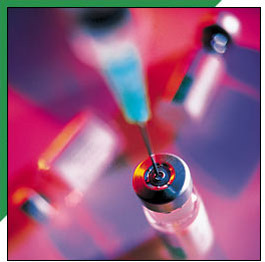 The CDC also confirmed there are no plans to force H1N1immunizations. At the end of the day, they agreed to disagree… and continue with their own research. Stephanie Esposito 69 News.